2016 was a year that FLEW. I barely felt the days go by. Is that bad? But I made a conscious effort to remember my 2016 milestones, because hey -- if I'm not gonna celebrate my own milestones, who will? 1) I got my first job out of university! I'm not sure if I've really blogged about it before -- but I was planning on committing to Narrativity & Co full-time as soon as I graduated. Like a legit full-time-businesswoman kind of commitment. So I didn't apply for jobs and was very optimistic that I could support myself with my branding business. At that time, Narrativity & Co was still focusing on branding services for small businesses. Ultimately, it was NOT a good decision. I was so stressed from dealing with clients and trying to find clients (and money) that I actually hated Narrativity. I also burned through the little savings I had. So in December 2015, I started my first job as a legal executive in the financial services sector. All through 2016, I dived deep into the job, and also rediscovered how fun it is to do something when you're not desperate for money. My favourite way to describe what I do is "legal executive by day, blogger by night (and lunchtime)". I'm *juggling* between my job and Narrativity. Yes, the juggling part is very frustrating. Sometimes I wake up an hour earlier to write a newsletter and had to pull myself away (to get ready for work) right when I was soooo productive. Other times I promised myself that I'd write a blog post or a newsletter as soon as I arrive home but I end up sleeping right after showering. Occassionally I'll be like, "Sh*t it's already Friday! I forgot to write my Friday newsletter!" and have to spend my long Friday break working on that instead of chilling. I'm sure people who juggle their passion with their jobs / family / studies go through the same thing. But being able to do Narrativity stuff in small doses is the exact reason why I appreciate it so much more. And of course, my salary goes into paying for my blog and website here and the newsletter service provider I use to send newsletters. 2) I launched two free email courses! Email courses are basically short lessons that are delivered via email to your inbox. I launched two of them. The first was Blog for Biz, a guide to blogging. And the second was the 10 Branding Strategies from dUCk scarves. Actually, I can only say I launched one course because I had to cancel Blog for Biz. It ended being waaay too complicated and big to finish, so I had to scrap it. I still feel super crappy about it though. But my 10 Branding Strategies from dUCk scarves course is still popular until today! Every week I get people signing up to take the email course. 3) I reached 100 newsletter subscribers! Apart from blogging, I started sending newsletters to subscribers because it felt a lot more personal. I've always liked writing emails to friends so the newsletter was a pretty natural extension of myself. It's a great way to develop trust. And on my end, I feel honoured to tears that subscribers would actually take the time to read my newsletters. And when a subscriber replies to any of my newsletters, my inner self is prancing around all day long. Like this emoji here --> 💃🏻 (but less graceful). By the way, click here if you wanna reread my past newsletters! The series on using a skill to kickstart your own brand is a really good one. 4) I finished my first ever product, the Starter Branding Kit for Bloggers! The Starter Branding Kit for Bloggers is basically a step-by-step guide to developing your own brand as a blogger. 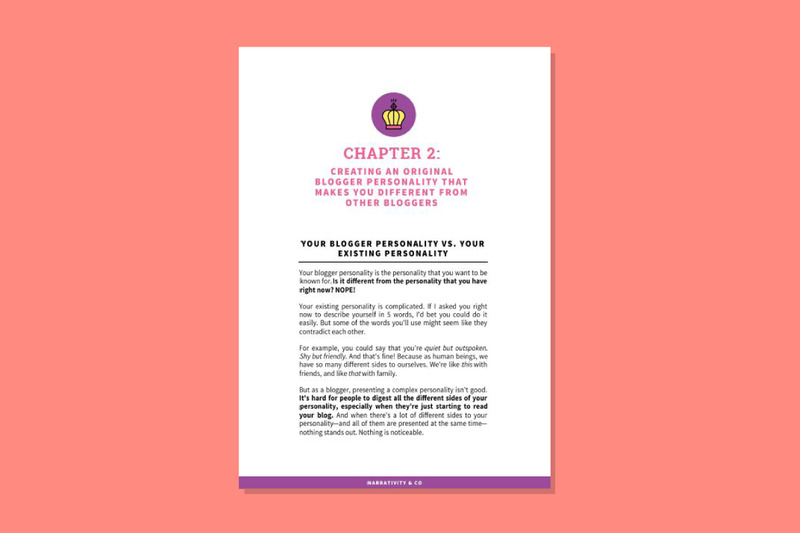 You'll start with identifying with how famous bloggers get to become successful entrepreneurs. And then you create a "blogger personality", which will launch a blog that's fully branded for you. I've been developing and writing the Starter Branding Kit for a loooong time. Eventhough I've been working on it consistently, I've always delayed the actual act of completing it. So it was always around 60%-70% done. I think it was a mixture of fear and laziness that made me so reluctant to finish it. Because when I have to finish it, I have to SELL it. That's the part that I'm (still) most scared about. Aina, 2016 is nearly over. Do you really want to let it end without finishing something? When will you ever be your own boss if you can't take this first step? And I was like, OK. I'LL DO IT! So I sent an email to all my newsletter subscribers saying that if I don't manage to complete the Starter Branding Kit by 1 January 2017, I'll give it away to everyone for FREE. It was a way to force myself to do it. OK I won't lie. There were PLENTY of times when I was so desperately tired that I thought, What the hell. Just give up. Just miss the deadline and give it away for free. It's a great product so you'd be doing people a favour! Yeah, I tried to justify it that way. I've always said to my subscribers that a brand that doesn't make money is not a brand. And if I don't practice what I preach, yo, that's bad. When I announced my intention to finish the Starter Branding Kit, I received so many responses from subscribers saying that they look forward to it. I know I couldn't and wouldn't disappoint them. So on the early morning of 31 December 2017, I finished it. It was glorious. It wasn't perfect but it was DONE. I can always *edit* a draft, but I gotta have a draft in the first place. Right? My plans are pretty straightforward, really. I focused on only as few things as possible so that I can really make time for each one (personal and business/blog-related). Travel to Japan. I've always wanted to and it looks like this year I'll be able to! Get fit and be as strong as an American Ninja Warrior. I'm sad to say that I really gave up on my health and fitness in 2016. But 2017 is different. Hoping I can do 10 pull-ups by December 2017. Meet more people and talk to more people! I really get my best ideas after talking to people and listening to them. I also plan to blog 2x a month IN ADDITION to keeping up my weekly newsletter. I've honestly been neglecting blogging and just focused on my newsletters, but it's really time for my blog to see some action again. Hope your 2017 will be life-changing!